I can't quite believe this but I feel the need, for the second time in less than three months, to heap praise on the blazerati at the RFU. Why? 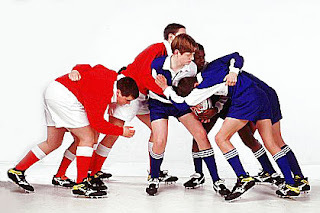 Because common sense appears to have prevailed and the RFU have belatedly decided to stand up to the IRB, ruling that the ELV which allows the maul to be pulled down will not be applied at under-19 level and below. Youth coaches up and down the land have been up in arms about this particular ELV, quite rightly concerned that serious injury might result if kids were allowed to pull down the maul. While players at the top end of the game may well adapt to this law (although I wouldn't rule out serious injury even at this level), the rationale behind the decision is that young kids will not and that injury will be an inevitable consequence. Personally I'd go further and say that amateur rugby at grassroots level should also be exempt - I for one don't fancy the prospect of the combined weight of two packs of semi-obese forwards collapsing on top of me next season, for instance. No, sod it, it's just a stupid and dangerous law full stop and should be consigned to the bin where it can spend its days reminiscing about the good old days with the the equally insane law allowing hands in the ruck. 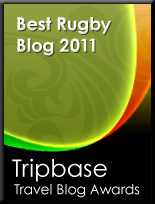 Indeed, well done RFU, I can only hope the WRU follow suit. But as a 'grass roots' forward I can honestly say I am terrified by this as well. One glance around the rest of my pack shows at least 4 players topping scales over 18stone. There is no way for them to get 'safe technique' sorted in time, hell we can't even pass properly and they haven't changed the laws on that for centuries! The IRB should be lined up and shout as far as I am concerned.